2017 is really going to be the year of travel for me. They say start as you mean to go on and I think we definitely did that, with our mini break to Rome in January. We have Dublin booked for April and then from June onwards, there's an exciting Summer of travel ahead. We booked this on Tuesday, after deciding we wanted to go somewhere after finishing exams. On Airbnb, there was an amazing deal for a riverside apartment in Lisbon, that was too good to miss. Combine it with some Ryanair flights and we have flights and accommodation in Lisbon for £125 a person. Lisbon looks gorgeous in photos and it'll be lovely to visit somewhere warm when we finally finish our degrees. I'm visiting Boston, upstate New York, Niagara Falls and Walt Disney World all in one trip. 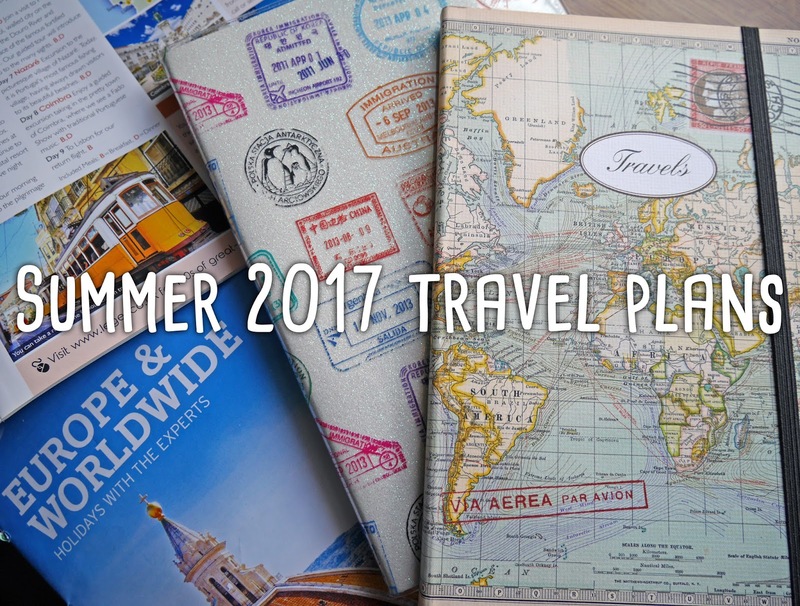 It's going to be such an amazing holiday and I can't wait to share my experiences here on my blog. Stuart has planned a big Canadian trip for August, which involves the very beautiful Banff National Park. After visiting the Great Smokey Mountains national park in Nashville, I can't wait to visit another famous national park and do some hiking! Stuart's doing most of the planning for this holiday, but I'll share more details with you closer to the trip. The next few months are going to be very stressful as I finish my degree, but I have all of this travelling to look forward to afterwards. I am so excited for an action-packed Summer! The USA road trip sounds great! I went to Niagara Falls last year and I absolutely loved it, it's so fascinating. There's also a nearby town called Niagara on the Lake and it is beautiful! Aww that's so good to hear, I can't wait to see Niagara Falls! I'll definitely make sure I visit Niagara on the Lake, I just googled it and it looks so lovely! Hey Kat! So jealous of all the travelling you'll be doing soon! I live in Dublin so if you need any recommendations get in contact! :) I've also been to New York and Niagara Falls last year when I went on study abroad! Let me know if you need recommendations :) I'd absolutely love to go to Lisbon! Also best of luck with your degree!